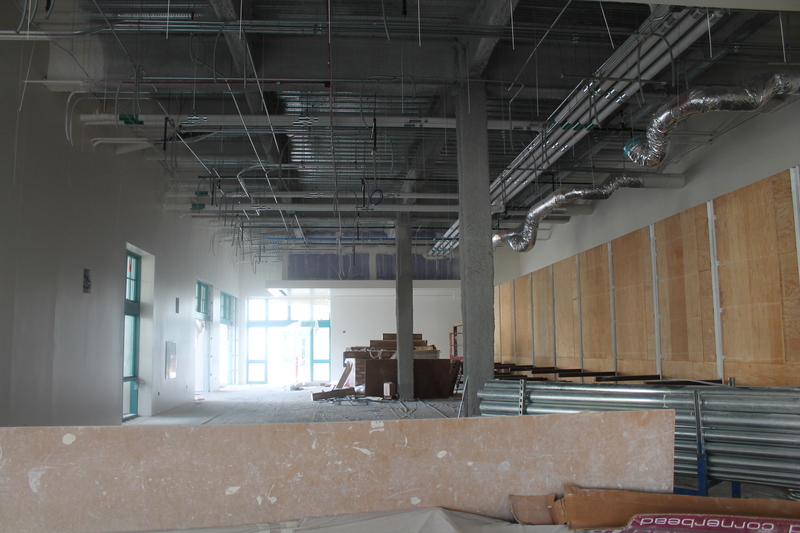 The cafe dining area in the Union will have open seating to serve Chipotle and The Habit customers, among others. The San Diego State community will soon have two new campus dining options when Chipotle Mexican Grill and The Habit Burger Grill open in Aztec Student Union in spring 2014. “Associated Students of SDSU is excited to partner with these two restaurant chains and Aztec Shops to provide the campus community with another high-quality and affordable dining option,” said Josh Morse, president of Associated Students, the student-directed, non-profit corporation that will operate the Union. The two chain restaurants will join a Starbucks and Aztec Market convenience store in the new campus “living room.” Construction on Aztec Student Union will be completed in December 2013, with grand opening activities taking place throughout the spring 2014 semester. Other amenities in the new building will include STA Travel, a travel agency; Aztec Lanes, a bowling and games center; ARC Express, a satellite fitness facility, and a to-be-determined grill restaurant. Associated Students of SDSU worked closely with Aztec Shops to identify the new tenants. The announcement comes after several months of outreach, planning and review, including a campuswide survey commissioned by Aztec Shops. Both restaurants will be located on the west side of the first floor of the building, facing Aztec Green and the Trolley Station at SDSU. Want to be the first to know news about Aztec Student Union? Be sure to “like” the Union on Facebook, follow it on Twitter or visit the Aztec Student Union website. This entry was posted in Tenant News and tagged announcement, food, news, restaurants, tenant. Bookmark the permalink.